Sorry, but we are temporarily out of this book. This new edition of the colorful and compact collector's guide to Hot Wheels not only provides you with identifying details for these miniature marvels, but it features 500 close-up photos of these legendary pocket-sized racers and collector pricing for Redlines, Blackwalls and Collector Number Packs. In addition, there's an extensive chapter on Hot Wheels hall of fame designers, including the legendary Larry Wood. 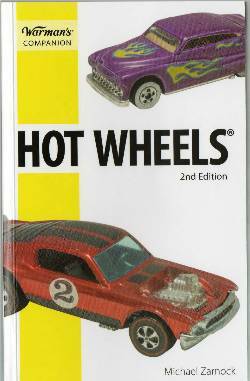 Hot Wheels Guides by Michael Zarnock are licensed by Mattel Inc.